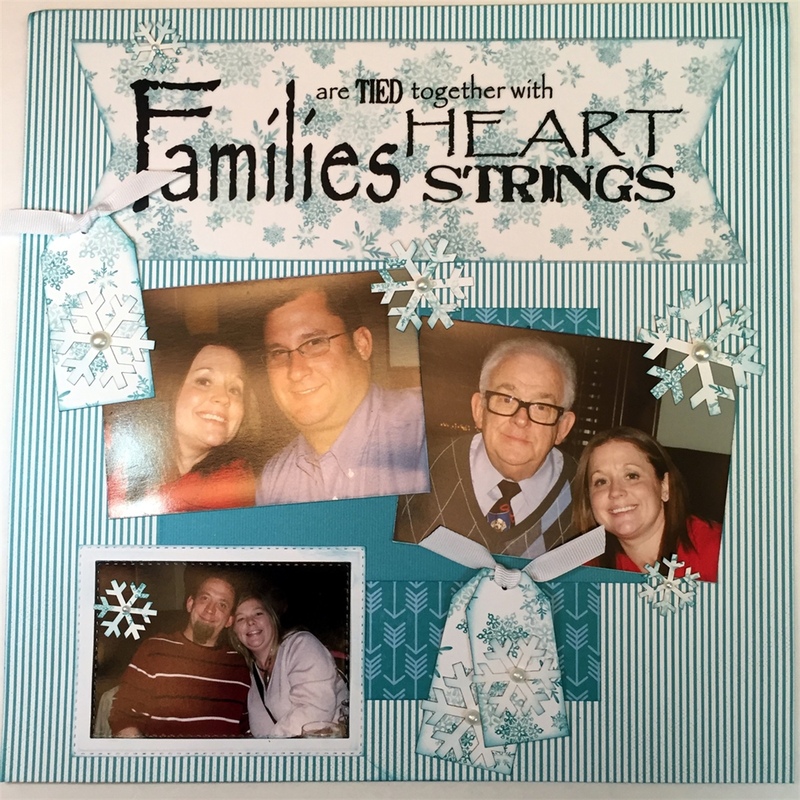 Alicia here today with some inspiration and using pieces from the January Club Q. I created two one page layouts. My subject is a past Christmas celebration. I just loved the Winter Wonderland title included but since I didn't have snow pictures handy, I decided my white and silver Christmas tree photos would be pretty. 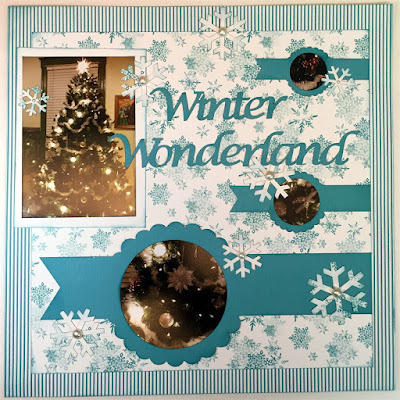 I used the circle tab die cut pieces for frames with close ups of the tree. For my second page I used the same background paper since these pages will be side by side in my album. 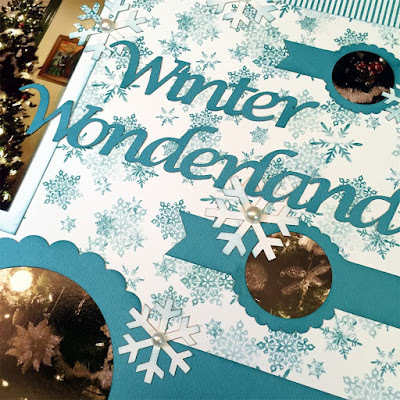 I also used the die cut snowflakes on both pages edging generously with Baja Blue PowderPuff Chalking Ink. 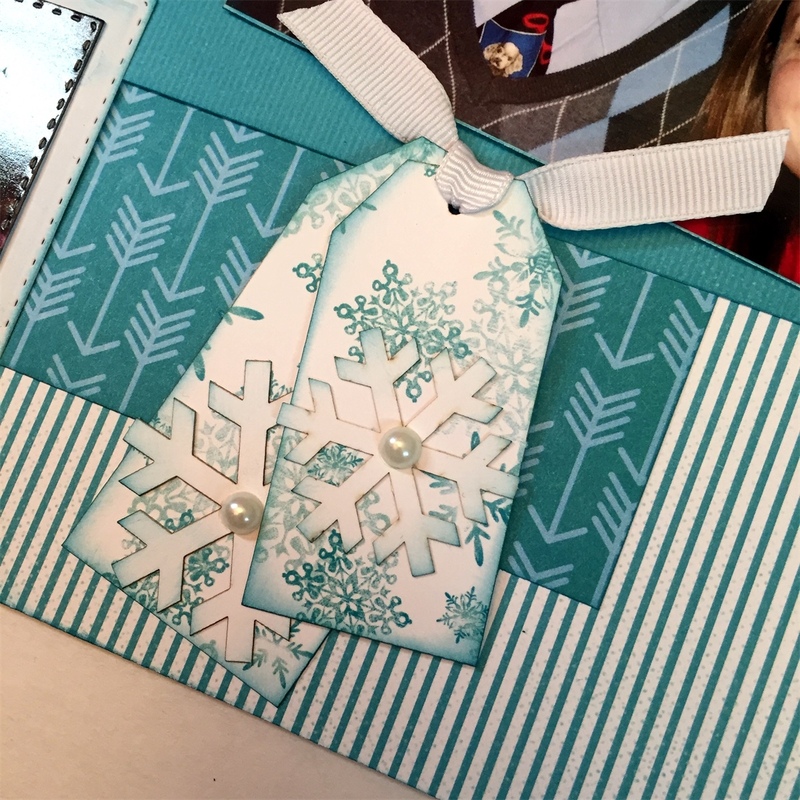 I used the tags included on this layout, a perfect embellishment. 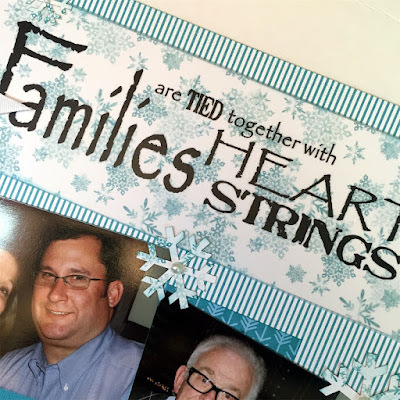 The one item I used that is not from this month's kit was the Families are Tied Together Half Page Vellum Strip. 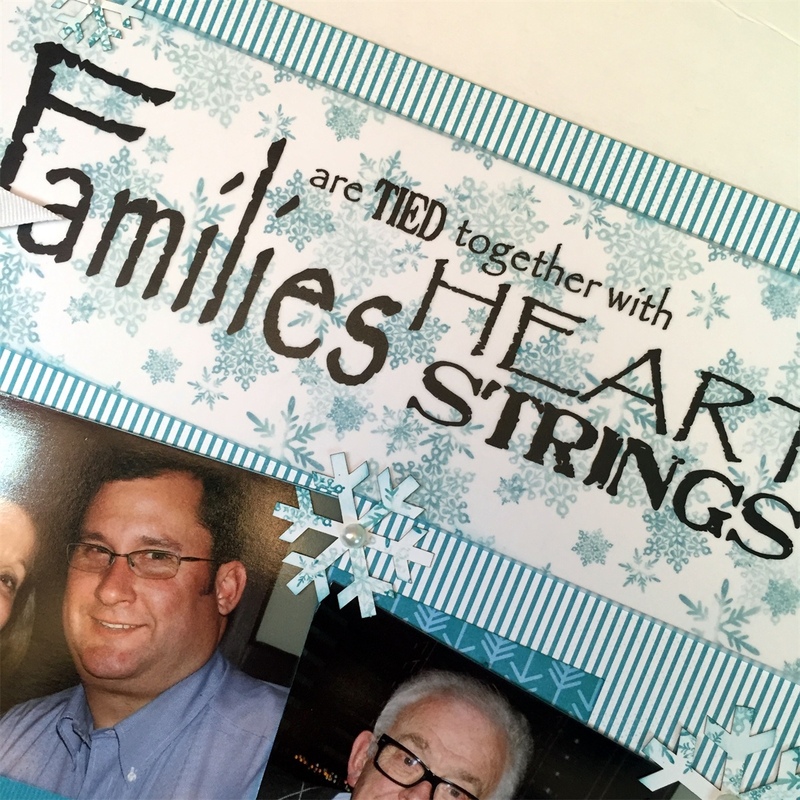 I found the half page size strip fit on the banner die cut with a little trimming. I hope you have a great week! Thanks so much for stopping by! This are awesome layouts Alicia. Thank you so much for your inspiration and sharing.